If you've spent some big nights dancing your shoes off at Mr McClelland's Finishing School, getting down at Anna's Go-Go Academy or cheering your lungs out at a huge annual Eurovision party, then we've got sad news. 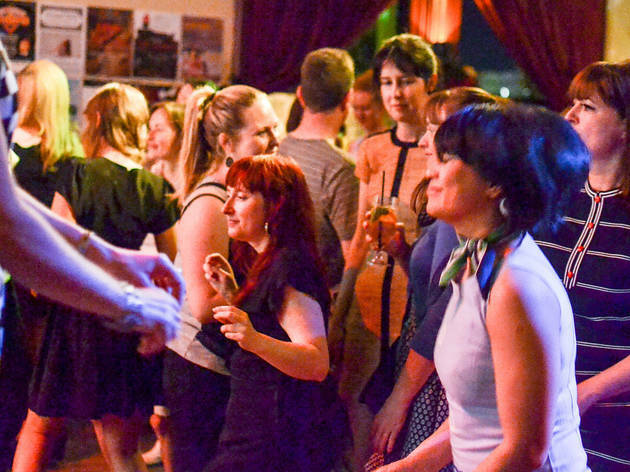 In a statement released today, the beloved Bella Union Bar – located inside Carlton's Trades Hall – has announced that it will be shutting its doors in October this year. After more than 12 years of hosting a hugely diverse range of gigs, theatre, talks, community events and parties, the Bella Union management has been refused its proposal for a five-year lease extension. The reason cited by Trades Hall secretary Luke Hilakari is that the bar may not be able to run during the state government's $10 million restoration project for the building. At this stage, plans for the building have not yet been approved, and Bella Union management were hoping to extend the bar's programming until at least the beginning of January 2018, to take advantage of the busy holiday season. "It is with great sadness that I must finally accept we are not welcome at Trades Hall," says Bella Union founder and director Catherine Woodfield. "We have all worked hard to create a venue that embraces creativity, diversity and perhaps most importantly, the possibility of experiencing joy." Woodfield has been the director of Bella Union Enterprises since 2005, when the bar began a partnership with Trades Hall. In the years that followed, Bella Union has programmed everything from Melbourne International Comedy Festival and Fringe Festival events to a trans and gender-diverse film festival, queer nights and regular comedy, live music and magic nights. The Bella Union Bar has notified all of their regular promoters and artists, and hope that they will play a part in giving the venue a mighty send-off. Thankfully, you've still got several months to show your love to Bella Union. 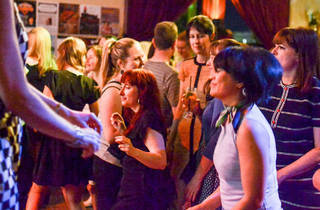 There are heaps of events coming up, including Mr McClelland's Finishing School (a dance party that's all about indie, pop, rock and soul from all the decades), PBS Radio's Soul-A-Go-Go, Amazing Babes (a panel talk at the Emerging Writers' Festival) and improv comedy night the Big Hoo-Ha!. For more info on the Bella Union bar, visit the website. Read about our investigation into why Melbourne is losing so many pubs at the moment – and what you can do to help.